Makeup tips for younger eyes | Is This Mutton? The girl above has beautiful eyes and we can see she is not very old. Unfortunately eyes are one of the first places to show our age - why else do celebrities wear sunglasses so often?- and even if we're relaxed about growing older, it can be exasperating to see folds of loose skin, crepey lids and crow's eyes which become strobed with concealer as the day goes on. There are surgical options of course, including eye bag removal (blepharoplasty) and brow lift. If you're thinking of going down that road, do your research and pay top price for best results. 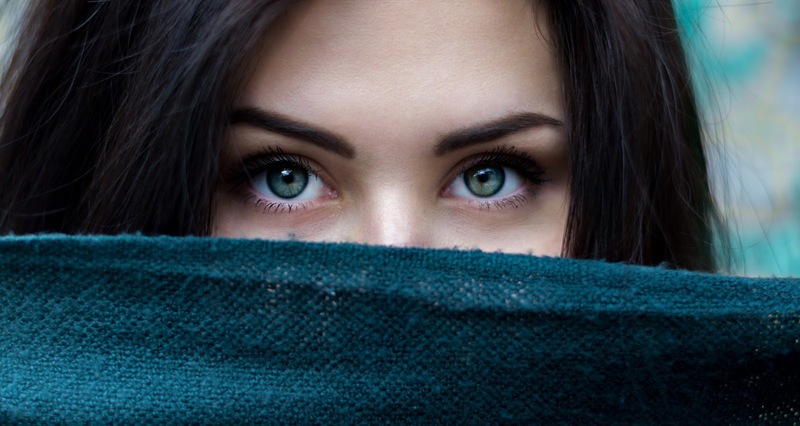 There are also non-surgical options and these include tear trough rejuvenation, where fillers are used to reduce the appearance of lower eyelid dark circles or dark hollows. But in the real world, most of us have neither the money or inclination to spend money on treatments which will need to be repeated in a few months' time. I wondered what could be done with make-up and skincare products. YouTube, as you would expect, has a lot of make-up tutorials, and if you've got hooded eyes, I would definitely recommend the lovely Nisha, who has several videos on how to deal with this problem. Find her hooded eyes, do's and don'ts, here. 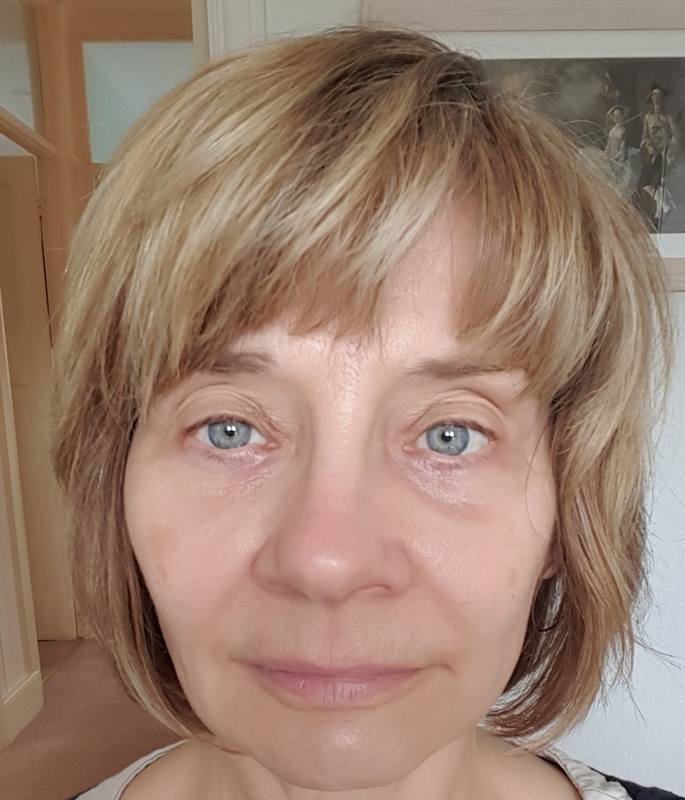 My eyes are less hooded but more deep set, so whereas someone with hooded eyes has very little eyelid on show, I have a lot of eyelid but they're set back in deep hollows, and compounded by dark circles and dark skin on my upper eyelids. The technique for making the eyes bigger and less deep set is basically the same as it is for the hooded lid. This is me with no make-up on. What a fright! This is my "before" - my "after" was taken in the same room and lighting conditions - below. I found a couple of tutorials for deep set eyes which were helpful. This one from the Robert Jones beauty academy, is quite long and he's a little irritating, but the technique is good. He used a shimmery color on his model's eyelids, but I found it didn't work for me. As you get older, matte shadows are much better because crepey skin doesn't hold shimmery or glittery shadows at all well. Cream shadows are also better than powder, but annoyingly difficult to find. I searched on Look Fantastic and Cult Beauty, my normal go-to sites, and I couldn't find very much. I then had a light bulb moment, which was investigating the Look Fabulous Forever range. This was developed by a middle-aged woman, Tricia Cusden, and all the textures work perfectly on mature skin. The site has some great video tutorials here, including how to conceal under-eye circles and define eyes and brows for over the 50s, 60s and 70s. I treated myself to these products to re-attempt the deep set eyes tutorial: left to right, Fabulous Concealer in No 2, a creamy textured product that I can promise doesn't gather in the wrinkles; Fabulous Eye Shade in aubergine; Fabulous Lid Colour in Soft Moss, and Fabulous Eye Shade in cream, plus Fabulous Eye Prime. After applying my normal skincare products and face makeup, I applied the eye primer to my lids, dotting it with the applicator and then using a brush to spread it across both the lids and the brow area. The primer is skin coloured and helps to neutralise any discoloration, as well as providing the ideal base for long-lasting makeup. Next I applied the cream shade on my lids, again using a brush. Using the Charlotte Tilbury smudge brush, I used the aubergine shade to define the eye socket, actually placing it a little higher than you would think. Blend it very well. Finally, I used just a little of the eye lid colour on the lids, along the lower lashes. Highlighting the lashes is important and one of my tips is not to create lines using liner (ageing on mature faces) but push liner into the roots of the lashes. This fills any gaps and creates some lash drama. I then curl my lashes - the Shiseido curlers are great - and apply mascara. I avoid black for eye liner and mascara and prefer to use either green or aubergine. Prestige is my favourite brand for eye liner - I prefer a liquid with a brush to a pencil - and any of the Max Factor mascaras is good. One good tip from the Robert Jones video is that those with hooded and deep set eyes should avoid big fluttery false eyelashes because they cover the lid area which we have painstakingly recreated! Eye brows usually require a bit of work, thanks to over zealous plucking when we were young. Frankly this area is a mine field. There are so many brow products out there, pencils, powders, pomades. I normally brush my eyebrows "up" and then pencil in some fine hairs, but I think I could do with some more help, as they need to be raised up. I'm thinking of going to see HD Brows, who have a seven step eyebrow shaping treatment that focuses on shape and design. It involves a combination of techniques, including tinting, waxing and threading, using specialist HD Brow products. The picture below shows my "after" once I'd replicated the Robert Jones tutorial. I substituted matte products for the shimmery one he used. I finished off with Clarins Instant Light lip gloss for a soft natural finish. The eyes are not dramatic or over done (I was probably a little too conservative!) but the eyes look a little more alive. Actress Julie Walters also has deep set eyes and you can see when she's made up that she uses a similar technique on her eyes. Skin and face makeup products used: Mad Hippie antioxidant facial oil; Vichy Liftactiv Eye Supreme; La Roche-Posay Pigmentclar moisturiser; La Roche-Posay Anthelios XL 50+ UVA/UVB; Marks and Spencer Autograph Illuminating Primer; Lancome Bare Skin Foundation natural light creator in 03; Hourglass ambient lighting palette (blusher); Becca Shimmering Skin Perfector (this is a highlighter I apply on the top of the cheek bones, cupid's bow, and down the centre of the nose, to create radiance). 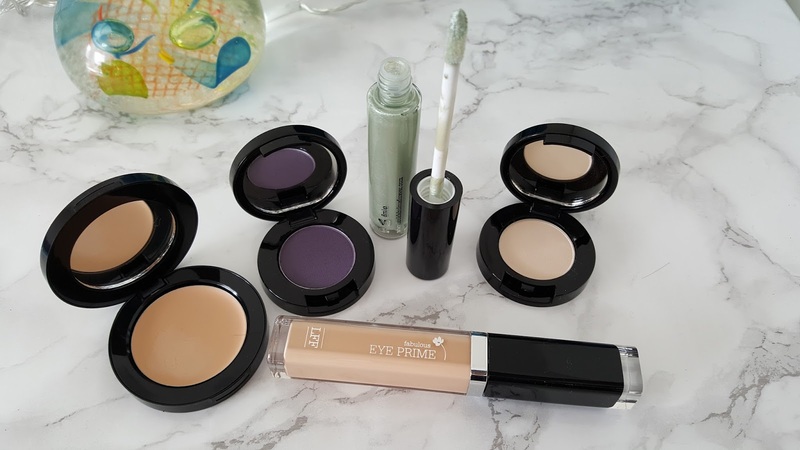 I wrote recently about how I stopped using dedicated eye care products but then saw the error of my ways, as the skin on my eyes got even drier and more crepey! I'm currently using Vichy Liftactiv Eyes, a light cream which is suitable for sensitive skin. At ight, I use Vichy Liftactiv Wrinkle Filler and I dot a little around the crow's feet which radiate from the outer corners of the eye. I'm sure that I'm seeing a slight improvement to the crow's feet and also to the "bar code" lines around the top lip. Personally I don't expect any miracles from eye skincare products. I've tried dozens over the years from brands including La Mer, Eve Lom, Decleor, Elemis, Olay, Estee Lauder. What I hope for is a cream that will provide good moisturisation without being overly greasy. If a cream or gel is too greasy, it pools under the eyes and your mascara will melt into it. Disclosure: this is not a sponsored post and no products were gifted. Sharing this post with Top of the World Style at High Latitude Style; #CelebratingStyle at Vanity And Me and #SaturdayShareLinkUp at Not Dressed as Lamb. This is a great post and I love the makeup and tips. Well, you've done your research well but Gail, you look great in the no make-up shot too! Your eyes are wrinkle free and with no dark shadow so you are looking fabulous! 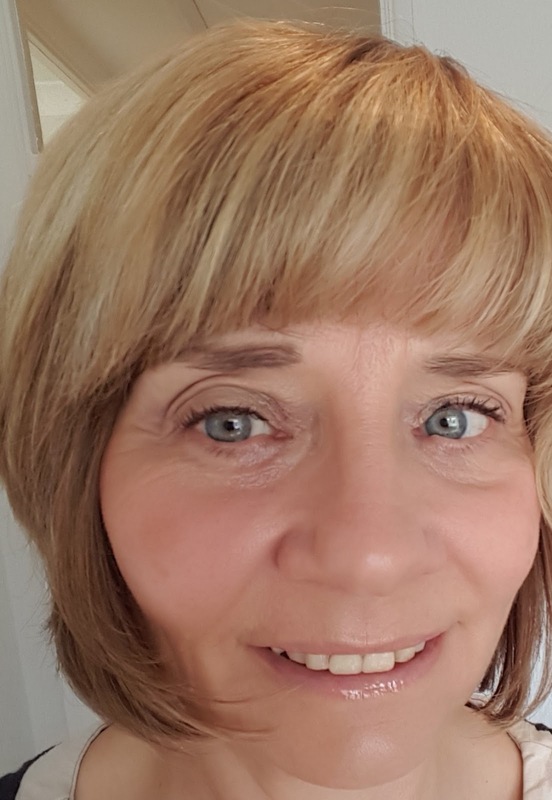 My brows have all but disappeared now and I tend to use L'Oreal age perfect or a Simple lotion on my eyes, nothing expensive, seems to do the job. You're too kind PP. However, what I have noticed is that smartphones automatically detect a "selfie" and somehow provide a blurring and more flattering image. There's no way of switching it off. So my "before" was really not as revealing as it should have been. Next time I will use the hubster's DSLR camera! Thanks Jacqui, more to come! This is a great post Gail. Thank you. I have badly hooded lids. Always have. A makeup sales lady told me not to bother with eyeshadow as it wasn't worth it. I was in my 20s! !. It is believed that the eyes are the gate to the soul and this is why beautiful eyes attract so much attention. Eye makeup is one of the best ways to enhance your facial features by making them pop. There are a many ways you can enhance your eyes, depending on preference and the shape of your eyes. Thanks for sharing such an informative information. Eyes are the most delicate part of our bodies and these need to be maintained in a right way. Though make up is right way to hide the wrinkles but it works for few hours. There are methods through which wrinkles can be reduced. Anti-aging creams with retinols are the best to treat wrinkles.